We often talk about historic places by their physical characteristics. It’s a building. A landscape. A barn. A train station. A home. We’re saving places. But let’s try an experiment. Close your eyes. Clear your mind. What is the first thing that you see when you think about your favorite historic site? Is it the structure? The bricks and mortar, the cornice stones, window panes, or land? Maybe you see a Frank Lloyd Wright home whose designs create amazing visual lines -- a grand masterwork from every angle. Or the Biltmore Estate which screams opulence while providing a sense of majesty derived from the chateaus of France. Sometimes I see places like the New York Public Library or Union Station in downtown Washington, D.C. where rounded arches and high ceilings inspire me through their simplicity and beauty. Is it the people? Who slept there, who lived there, who invented something here? 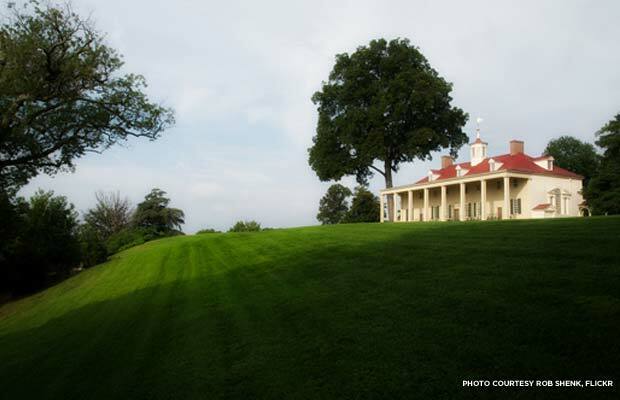 Mount Vernon or Montpelier might be revered for their style, but are preserved primarily for their relationship with George Washington and James Madison. We also strive to protect birthplaces of musicians and sports legends or buildings like Joe Frazier’s Gym where the legendary boxer trained for his fight against Muhammad Ali. Is it the stories? Acts of bravery on a battlefield, protests that called for change, or the first of an event that changed the course of history? As school children the battlefields float off the textbook -- Gettysburg, Bull Run, Antietam -- places where the nations’ grievances were fought with bloody results. Or Kitty Hawk where two brothers took to the air and changed the way we travel forever. Today I think about walking the National Mall which invites so much history -- including the famous march over 50 years ago where a young preacher named Martin Luther King, Jr. called out for his dream. Just one event in a larger story that includes many. 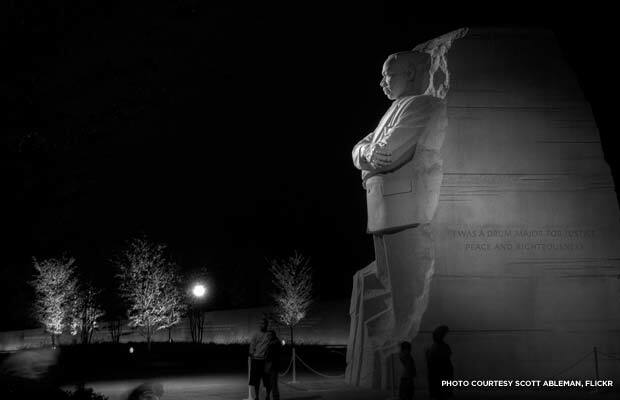 Martin Luther King, Jr. Memorial at night, Washington, D.C. I know that the adage ‘beauty is only skin-deep’ is true. Nowadays, the places we try to save are not, cannot be protected on the basis of beauty alone. In reality architecture is only one part of the rationale for saving a historic place. Making a better case for protecting our historic resources involves the structure, the people, the stories, as well as considering the economic implications for the neighborhood and community. The great thing about those who love history is that we are dreamers. We see possibility in ruin, and our future in the recognition of what came before. We have the ability to embrace what others see as blight or an eyesore and see potential. What we see matters, so let’s look beyond beauty to save the places we love.